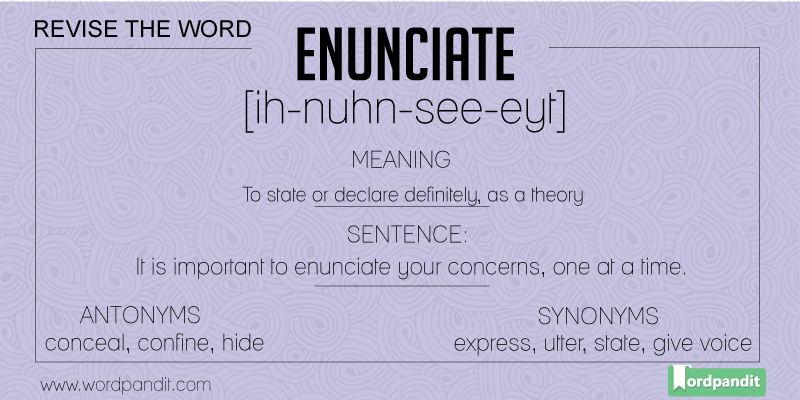 Enunciate is to speak clearly by articulating your thoughts well. Many a times, we start mumbling, grumbling, and rambling. Because of this, we cannot put our point across. We just need to enunciate our thoughts in a better way. 1. To utter or pronounce (words, sentences, etc. 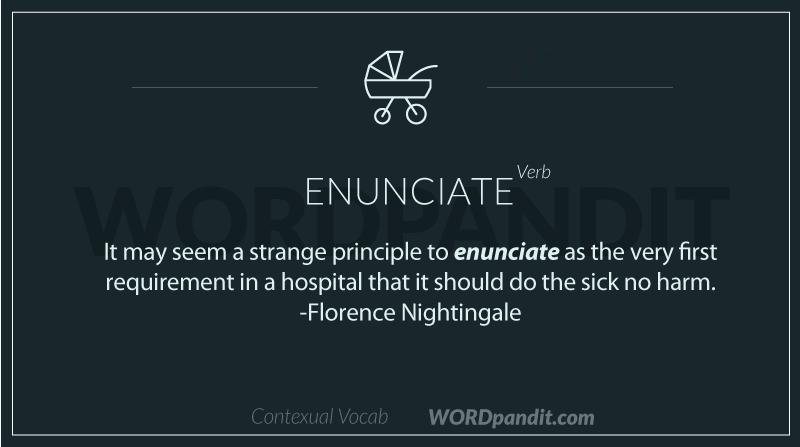 ), especially in an articulate or a particular manner. 2. To state or declare definitely, as a theory. 3. To announce or proclaim. Having trouble in speaking clearly or articulating your thoughts clearly? You just need to enunciate clearly. It is akin to pronunciation, but instead of the phonetic sound, it refers to the clarity with which you you express yourself. 1. The best pedagogue is not he who descends to hs pupils from the heights but he who rises to new levels together with them. 2. Between 1961 and 1968 he studied in Moscow with the renowned pedagogues Heinrich and Stanislav neuhaus. 3. Many of these brave fellows had been educated by Chiron, the four-footed pedagogue, and were therefore old schoolmates of Jason, and knew him to be a lad of spirit. 4. The job of the pedagogue is to bring and keep student language within the lines of legitimacy.